Spearheading the effort to conquer pediatric feeding struggles. Paper Clouds BENEFIT CONCERT at Rockbar Scottsdale!! 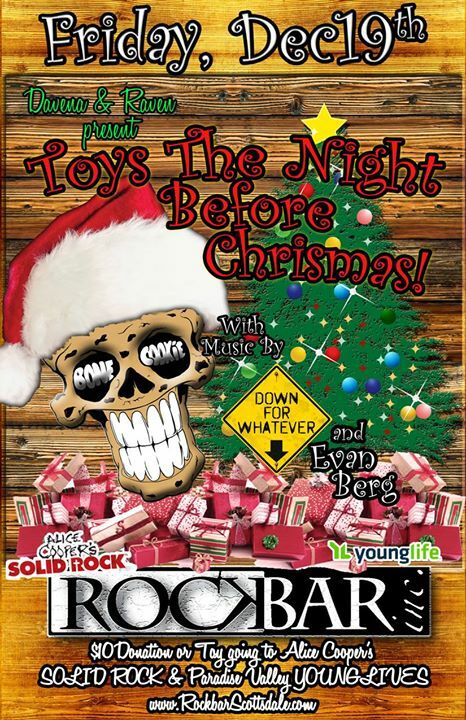 Come down for a SPECIAL night of music as Rockbar inc. and Paper Clouds Apparel presents a Benefit Concert for Two young men with their fight against Osteosarcoma. Join their Teams and support their battle! $10 suggested donation with the doors at 7pm! Food will be available, along with a raffle for prizes! 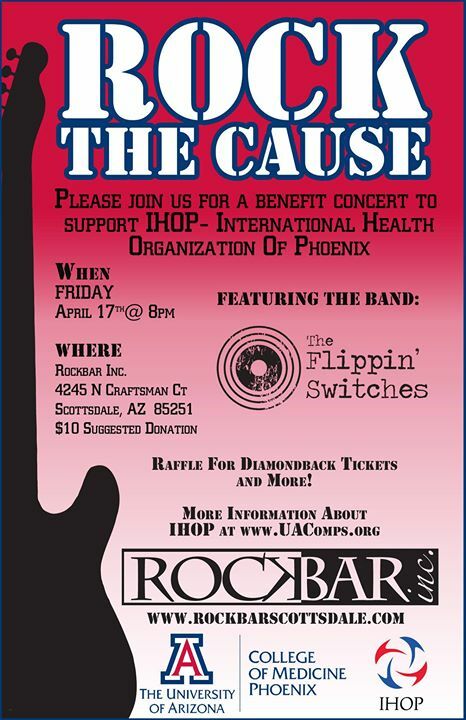 IHOP – Rock The Cause Benefit Concert at Rockbar Scottsdale! Join Rockbar inc. and The University of Arizona for a benefit concert supporting the International Health Organization of Phoenix To collaborate with the international community to reduce health disparities and inequities, while providing student opportunities to gain experience in global health and to create a future community of culturally competent physicians with a desire to serve others that transcends national borders. Raffle for Diamondback Tickets & More! GiGi’s Playhouse Benefit Concert at Rockbar Scottsdale! Four Peaks Brewing Company and Rockbar inc. present a Benefit Concert supporting GiGi’s Playhouse Down Syndrome Achievement Centers! Food provided by PITA JUNGLE! Pro Bowl Party With LeSean “Shady” McCoy at Rockbar Scottsdale! LeSean “Shady” McCoy for the 2015 Pro Bowl Party at the Rockbar inc. on Saturday, January 24, 2015. VIP Admission allows personal time with the Philadelphia Eagles All-Pro Running Back. Grab your friends and come out and party with Shady. 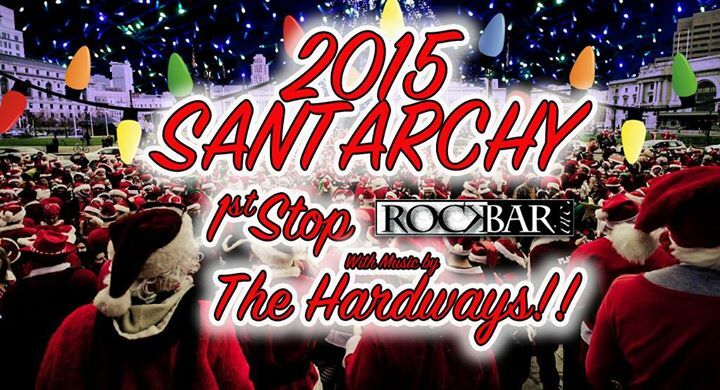 Get your tickets now….they’re going fast. Proceeds from the event benefit Shades of Greatness, Inc., the LeSean McCoy Foundation. Tickets going FAST! Buy NOW at the link above!! Event is from 1:00pm to 4:00pm, and is All Ages. Shades of Greatness, Inc., the LeSean McCoy Foundation, has been dedicated to helping the fight against Amyotrophic Lateral Sclerosis (“ALS”), also known as Lou Gehrig’s disease by providing immediate assistance to individuals and families battling ALS, support of the ALS Association of Philadelphia in advocacy and patient services; and assisting disadvantaged/underserved youths and families throughout the Pennsylvania community.